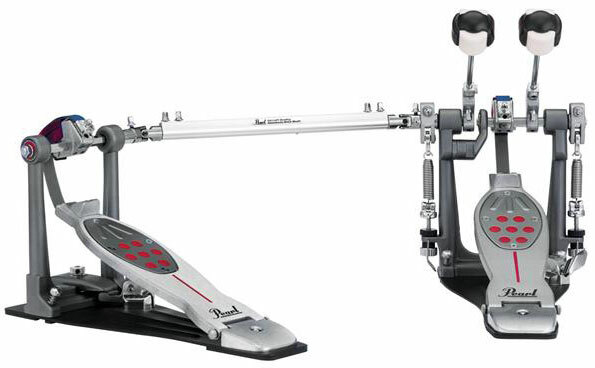 Pearl Eliminator Redline Double Pedal Set can be customized to suit your fancy and it’s a highly reliable model. You can either get the Redline as a belt-drive or a chain option as used in this review. And so, when it comes to features, the Pearl‘s famous Eliminator pedals sure pack a punch. They’re equipped with Dual-chain drives, Click-lock spring adjustment, Control core beaters, NiNjA bearings, Independent traction grips, Uni-Lock beater angle cams, a PowerShifter function and much more. 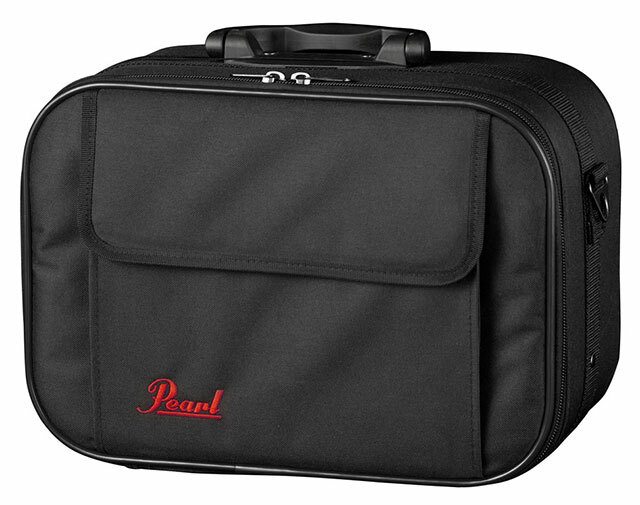 Created more than 15 years ago, this brand and model is still preferred by thousands of beginners and professional drummers all over the world. Since the Pearl Eliminator Redline Double Pedal can be greatly customized to suit your taste and preferences, you can definitely find a set up that is just right for you. It may take you some time to fiddle around with the different features to get it all just right… But when it’s done, you’ll be very pleased to have a pedal set that is perfect for you. It’s worth noting that the high degree of variation will mean that some combinations may work against each other. You’ll need to be aware of what you’re doing and how it’ll affect your playing. The Redline’s features are patented and you can quickly and easily vary pedal performance by using the interchangeable cam system. If you wish to move the footboard up and down you can use the ‘Powershifter’ feature. This is really helpful. You’ll also be able to remove and change the rubber disks that are located in the grip plate. The color scheme of grey, red and black is very pleasing to eye and overall, these are very stylish pedals. While the pedals allow you the option of customizing them, if you just wish to use them as they come, that’s fine too. They are good to use upon purchase without changing anything. Our testing showed that the Pearl Eliminator Redline Double Pedals are great to use and highly responsive. The sturdy structure gives the pedals a solid feel and allow for smooth play. If you’re looking for a set of double pedals that look good and play well, the Pearl Eliminator Redline Double Pedal is definitely worth considering. We most certainly would. The level of customization that’s possible with these pedals is unbelievable. It’s priced affordably, delivers a ton of value, looks good and performs better. This is a must-buy. Single Pedal (P2050B) and Double Pedal (P2052B) Belt Drive Models. 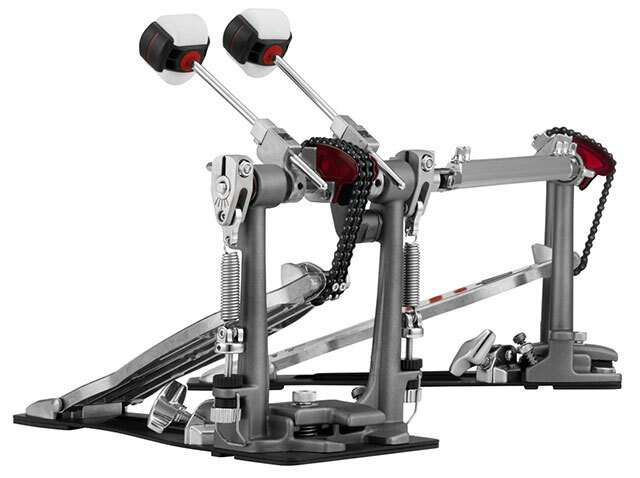 Single Pedal (P2050C) and Double Pedal (P2052C) Chain Drive Models. Left-Footed Double Chain (P2052CL) and Belt (P2052BL) Models. The Pedal model marked bold above symbolizes the Pedal we used for this review.